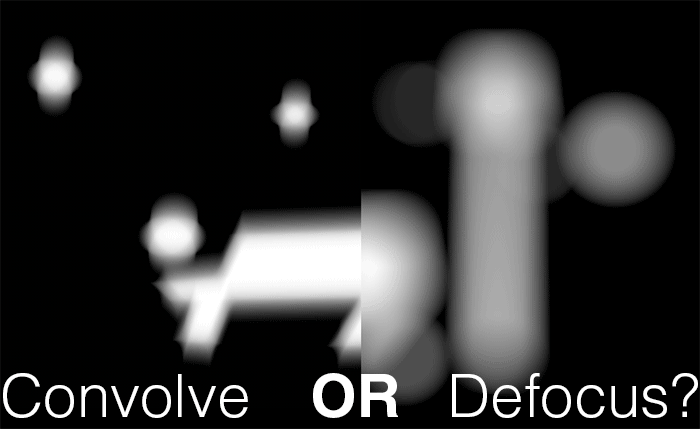 Nuke Tips – Convolve or Defocus? Yet another “This” or/vs “That” tips. I guess regular visitor to the site will know how much I hate (ok that is a strong word) Nuke’s scanline render as it is pretty slow. Besides that, some of Nuke node are still CPU based which is pretty slow too (as in some nodes hardly utilise or maybe fully utilise the CPU load with slow rendering speed). When the Convolve node support GPU acceleration, I thought it should be interesting to test it out on my GTX 780 and while there is some improvement in rendering speed, I still say it is nothing to scream compared to the CPU-based Defocus node. Well if Convolve support GPU. why bother with Defocus? Defocus still works if a compositor desires a simple interface to work with while Convolve relies on a custom roto shape to generate the out-of-focus shapes. I believe Nuke 7.0 introduce the GPU acceleration for Convolve which helps to speed up the rendering. Still anyone can pipe in a basic round roto shape into Convolve to create the same look as Defocus while benefiting from the GPU acceleration. So given the choice, do a quick test on your comp and see if using Convolve (with the GPU support enabled) can speed up the rendering. P/S: Also for future Nuke Tips update, I’ll be including some footages from my project so it is more practical than having me create pseudo images in Nuke.